After being in Florida and Arizona last month, where the riding season is already in full swing, then coming home to snow, ice and riding indoors, it seemed like a letdown. But I know the good part of our riding season here in Colorado is coming soon and I see it and feel it in all of you too—it’s time to gear-up, set new riding goals and make plans for your riding adventures! 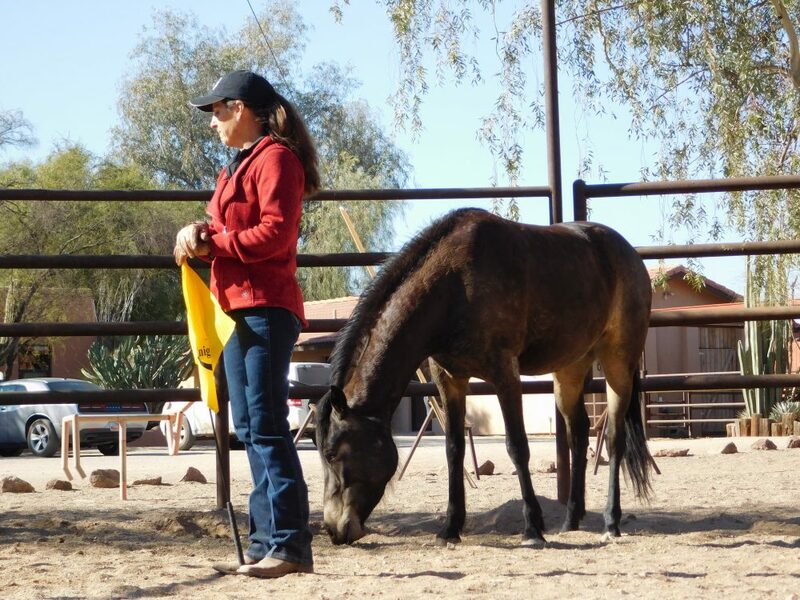 This month, I’ll be at the Horse World Expo in Harrisburg PA, doing presentations on horse behavior, canter leads and life lessons horses teach us. Then, I head to sunny Pomona CA, for the Western States Horse Expo. I’ll offer clinics there on controlling the canter, balance and rhythm in the saddle and riding ‘til your 90! At both expos, I’m fortunate to get to ride two awesome horses—Smoke and Scouter—whom I’ve ridden before and really enjoy. How lucky am I to get to travel to fun horse events and ride beautiful, well-trained horses? After these two expos, I turn my focus to clinics, clinics, clinics! I’ve got a busy schedule coming up this spring, with new dates just added, so check out my full schedule here.